Dehn Oil Company provides fixed forward pricing programs, transportation, bulk delivery, branding programs, 24/7, 365 days a year service, and so much more! Dehn Oil Company is proud to offer a full range of the finest in petroleum products including Gasoline, Diesel Fuel, Bio Diesel, Home Heating, and Lubricants. Dehn Oil Company partners with the best in the industry including Marathon Petroleum, St. Paul Park Refining, Sinclair Oil, Clark, Cenex, and many others. 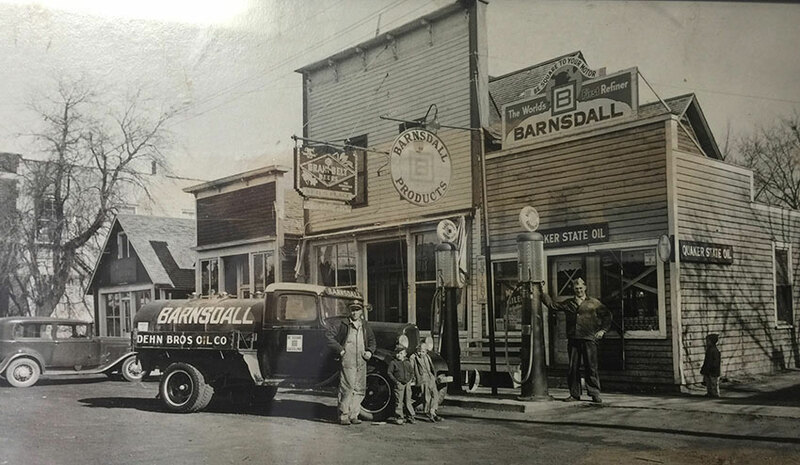 Dehn Oil Company is a 4th Generation family business, founded originally in 1938. Based in Ramsey, Minnesota, Dehn Oil Company is a wholesale marketer of refined products and renewable fuels. We supply and deliver services for unbranded and branded gasoline, diesel fuel, bio-diesel, gasoline with ethanol, and a complete line of lubricants. Dehn Oil Company is proud to offer exceptional customer service with competitive pricing. Our fleet of trucks allow us to offer an inclusive customer experience from the rack to the customers' tanks. Dehn Oil Company also offers fixed forward pricing, branding programs, and 24 hour delivery services. Bulk Facilities are located in Anoka, MN, Lindstrom, MN, Red Wing, MN, and Saint Croix Falls, WI.